Things have been pretty hectic at Blowtorch Consulting the past few months. After I put together the Brandon Jennings proposal, business boomed. And as the business has grown, I've had to sign a lot of non-disclosure agreements. This is the nature of commerce, I suppose. But we are MAKING THINGS HAPPEN. For instance, last night while shopping for ingredients for a sausage casserole, I found our newest product endorsement. 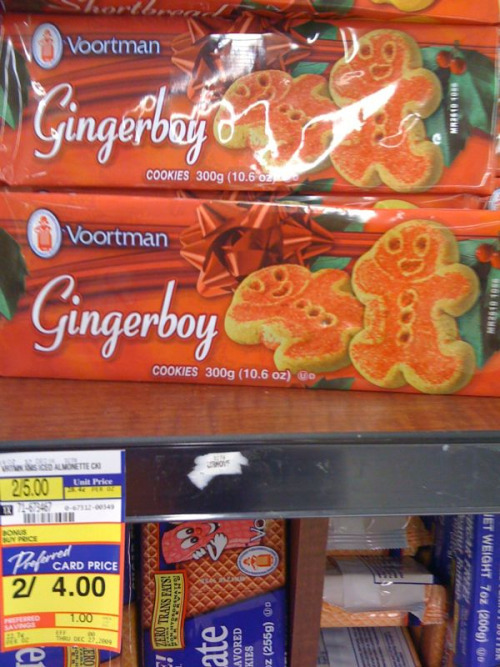 GINGERBOY COOKIES - "Like gingerbread men, but younger in a not creepy way." Pros: Has red hair. Actually marketable. Young, which correlates to the boy part of Gingerboy. Loves nutmeg. Cons: May not be receptive to endorsing an offbrand cookie as he has other opportunities. Probably would want to change product name to Gingerballs. Hates cloves. Pros: Has red hair. Kinda chunky, target market will identify with him. 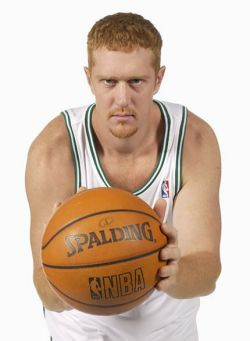 Cons: No one wants to see Brian Scalabrine while they're eating. Pros: Has red hair. No other marketing opportunities, so he would probably jump at this one. Avid baker. Cons: Often sports a red beard. Possibly Canadian. After careful consideration, I've decided to target Matt Bonner and his agent, Kenny Grant. Considering the other players Grant represents, I think he'll be pretty intrigued that someone actually is marketing one of his players. That's the Blowtorch Consulting strategy: make people who aren't marketable feel marketable so that they will pay you to market them.